Kaffir Lime Face Wash leaves the skin feeling clean and soft. 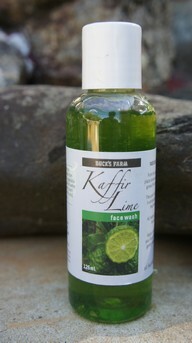 Kaffir Lime Face Wash is a natural face wash that easily removes dirt and makeup. Chemical Free – all natural.